School finance is complex and demanding, and being the leader of a public school district means it is essential to have a high-level understanding of how it all works. 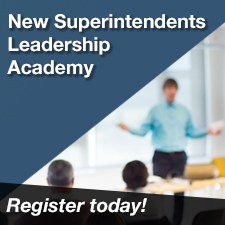 This session of the New Superintendents Leadership Academy digs deep into school finance and best practices. When: October 4, 2018, from 9 a.m. to 4 p.m.